Bitcoin is the reigning champion of cryptocurrency criminals. That’s the conclusion of blockchain analysis firm Chainalysis, which discovered that bitcoin is used in 95% of crypto crimes. This finding isn’t surprising since bitcoin is by far the most popular and widely used of the 2,000 digital currencies around today. “Bitcoin is by far the favorite,” Jonathan Levin, co-founder of Chainalysis, told Fortune. Interestingly, Levin says bitcoin is preferred over “privacy coins” such as Monero because it’s the most valuable and most-traded. Indeed, many of the recent drug busts involving fentanyl purchases were uncovered through blockchain analysis because buyers paid for the illegal opioid with bitcoin. Blockchain forensics analysis has been very useful for the U.S. Drug Enforcement Agency and the Department of Homeland Security in their efforts to crack down on illegal drug activity. The service that groups like Chainalysis provides to law enforcement and crypto companies is becoming increasingly important amid the proliferation of bitcoin scams and crimes. Chainalysis makes software that traces transactions recorded on public blockchains to link an individual’s identity with their crypto funds. The Internal Revenue Service is a major client. As CCN reported, Chainalysis received the bulk of the money the IRS spent in 2018 to track crypto payments. In fact, Chainalysis is the preferred blockchain analysis contractor of the U.S. government. In 2018, it received $5.3 million — or 93% — of the $5.7 million the federal government paid out to these firms. Accordingly, blockchain-tracing firms like Chainalysis have become increasingly attractive to investors. Want proof? In February 2019, Chainalysis raised $30 million in its second round of fundraising. As a result, Chainalysis co-founder Jonathan Levin made Forbes magazine’s list of the top 30 entrepreneurs in Europe under age 30 (see video). On April 25, Chainalysis announced that it’s expanding its real-time transaction monitoring on the 10 most popular cryptocurrencies, including Bitcoin, Ether, Litecoin, and Tether as part of a move to crack down on money-laundering. “Since 2014, Chainalysis Reactor has been recognized as the leading blockchain analytics tool, playing a critical role in combating exchange hacks, darknet markets, ransomware, and terrorist financing. Even though the cryptocurrency industry is relatively new, it’s teeming with scam artists hoping to exploit the unregulated market. This is the first-ever conviction in the United States for a SIM swap scam. That’s when the perpetrator clones his victims’ SIM cards in order to hack into their smartphones to gain access to their online accounts. Joel Ortiz specifically targeted people in the cryptocurrency industry. In May 2018, Ortiz brazenly stole millions of dollars by hacking several people’s smartphones at Consensus, an industry conference hosted by crypto news website CoinDesk. Aslam also pointed to the conditions surrounding bitcoin’s past rebounds as evidence that another rally is in the making. He says the current patterns are similar to those that occurred before previous rallies, when the bitcoin price rocketed to record highs. As CCN reported, Aslam noted that bitcoin crossed its 200-week moving average in March. That’s a significant technical indicator. In short, Aslam says technical analysis is building a bull case for bitcoin after it got pummeled during the prolonged bear market of 2018. Based on a mathematical calculation involving approximate percentage projection of bitcoin’s price that occurred during the last bull run, Aslam says it’s not unrealistic for bitcoin to rocket past $100,000. While the crypto industry is rife with experts who constantly make wrong predictions (*cough* Fundstrat’s Tom Lee *cough*), it’s not as easy to flippantly dismiss Naeem Aslam. Aslam has a pretty good track record. In 2016, Aslam correctly predicted that Donald Trump would win the U.S. presidential election against all odds. He also correctly predicted Britain’s vote on Brexit three years ago. Not everyone is convinced that the brutal Crypto Winter is behind us. As CCN reported, investment manager Peter Mallouk — a certified financial planner — says crypto bulls are deluding themselves if they think the current rally will last. Mallouk, the president of Kansas investment firm Creative Planning, says the recent price spike is merely a temporary recovery before bitcoin totally collapses. Why? Because it’s worthless and has no value. “We’re going to see cryptocurrencies collapse,” Mallouk said in early-April. Mallouk’s skepticism is not new. 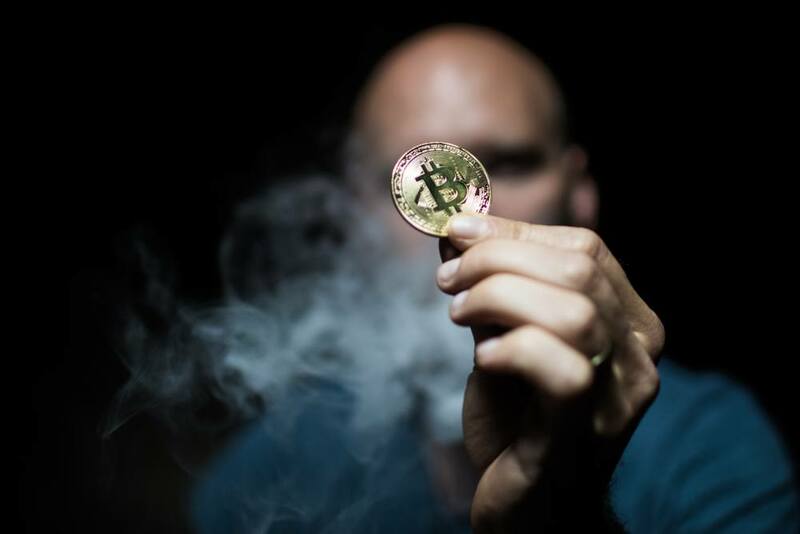 In December 2018, Mallouk mocked bitcoin as a “dead man walking,” and predicted that the bitcoin price will drop to zero. This is the first-ever arrest and conviction in the United States for a SIM swap scam. That’s when the perpetrator clones his victims’ SIM cards in order to hack into their smartphones to gain access to their online accounts. Joel Ortiz, 21, a UMass Boston student and his henchmen specifically targeted people in the cryptocurrency industry (which is ironic, since many people think crypto folks are scam artists). In May 2018, Ortiz stole millions by hacking several people’s smartphones at Consensus, an industry conference hosted by crypto news website CoinDesk. In total, Ortiz stole more than $7.5 million from at least 40 victims, the Santa Clara District Attorney’s Office announced in a statement. On April 19, Ortiz was sentenced to a decade in prison by Santa Clara County Judge Edward Lee after pleading no contest to 10 felony theft charges. Judge Lee decided on his sentence after hearing several victims’ heartbreaking stories about how their lives were destroyed after Ortiz stole all money. In January 2019, several victims — including tech entrepreneur Robert Ross — launched an initiative called Stop SIM Crime to raise awareness of this growing phenomenon. Ortiz stole more than $1 million from Ross after taking control of his cell phone and gaining access to his accounts on crypto exchanges. Ross says he never even heard of “SIM swapping” until he lost most of his bitcoin savings as a victim of the scheme. Ross is now pressuring cell phone providers to offer better resources to help victims and to educate them about prevention. By CCN: The ruthless bitcoin bear market of 2018 has claimed numerous victims, including many crypto startups and executives. The latest is former EY blockchain leader Angus Champion de Crespigny, who’s leaving the industry. Champion de Crespigny made the revelation on Twitter, where he insists that he’s still bullish on bitcoin. However, he’s discouraged by how long he believes it will take for mass adoption, and doesn’t want to wait around. As recently as November 2019, Angus was touting blockchain and cryptocurrencies at a recent conference (video below). Champion de Crespigny worked for 11 years at Big Four accounting firm Ernest and Young. He spent the last couple of years focused on blockchain. In August 2018, Angus left EY to focus on other projects amid growing disillusionment with blockchain. Over the years I converged on what we call coin maximalism, or minimalism. That is, “blockchain” was developed to solve a very specific problem, and it did so at a massive sacrifice. That problem: ensuring that ledger entries can’t be double spent when there’s no central party. Angus explained that he had left EY in August to start a business focused on promoting bitcoin adoption in two ways: by helping to institutionalize it or by advancing adoption in the developing world. He says he got discouraged once he realized that institutions are not eager to promote mainstream crypto adoption. “I also found that institutions were not going to be on-boarding bitcoin as a financial product as quickly as I had thought they would from my discussions over the years. Institutionalization has happened, but not as much as I’d expected and enough for me to build a business on it. I also found that institutions were not going to be onboarding bitcoin as a financial product as quickly as I had thought they would from my discussions over the years. Institutionalization has happened, but not as much as I’d expected and enough for me to build a business on it. Champion de Crespigny added that he’s not leaving the industry forever. He promised that he’ll remain involved somehow because he believes in bitcoin’s disruptive potential. However, he says the time horizon is longer than he had expected, so it’s time for him to cut his losses and move on to greener pastures. While Champion de Crespigny isn’t the only person who has left the industry amid the market downturn, his departure is notable because he worked at Ernst and Young. As CCN reported, EY has been making a concerted effort to ramp up its blockchain and crypto businesses in order to woo bitcoin investors. Last week, EY revealed that it spent millions of dollars during the past two years developing crypto and blockchain tax tools. Despite these efforts, institutions have been slow to embrace crypto. Some — like Goldman Sachs — have even backpedaled, claiming they never were on the bitcoin bandwagon. All this dithering points to a major problem that’s not being addressed — and that’s the crypto industry’s abject failure to educate the general public about what bitcoin is, and why it’s supposedly superior to fiat currency. Until that happens, mainstream adoption will remain a pipe dream. By CCN: Australian crypto entrepreneur Craig Wright insists he’s bitcoin inventor Satoshi Nakamoto and is eager to prove his claims in court. On April 14, Wright fired off several angry letters, threatening to sue crypto podcaster Peter McCormack and Ethereum co-founder Vitalik Buterin. Wright accused McCormack and Buterin of defaming him when they called him “a fraud” and said he was lying when he says he’s Satoshi Nakamoto. Wright told Bloomberg he’s targeting Buterin and McCormack because they’re high-profile members of the crypto community, so what they say carries some authority. Wright says he decided to file his lawsuits after being barraged on Twitter with nasty, personal attacks. He says this was the breaking point because it really crossed the line. Wright has since deleted his Twitter account. Craig Wright first made the claims that he’s Satoshi in 2016 and has since repeated those assertions. Wright says the industry’s hostility toward him is an attempt to silence him because he calls out bitcoin as a fraud and champions Bitcoin Satoshi Vision (BSV) as the one true bitcoin. Zhao followed up by delisting BSV from the Binance cryptocurrency exchange this week. Bitcoin SV (Satoshi’s Vision): This group is backed by Craig Wright and Calvin Ayre, the owner of CoinGeek. Bitcoin ABC (Adjustable Blocksize Cap): This camp adheres to the “official” Bitcoin Cash road map, which is supported by most node operators, and is endorsed by Bitcoin Cash proponent Roger Ver and Jihan Wu, co-founder of mining giant Bitmain. Calvin Ayre claims BSV is the “real bitcoin,” while the original cryptocurrency — which preceded Bitcoin SV — is an impostor. Craig Wright agrees. By CCN.com: The Manhattan District Attorney’s Office indicted three men for allegedly laundering $2.3 million in crypto by using debit cards pre-loaded with bitcoin and withdrawing large amounts of cash at ATMs in New York and New Jersey. The trio was also charged with operating bogus storefronts on the dark web that sold illegal drugs, including counterfeit Xanax tablets, the DA’s Office announced in a statement. Chester Anderson, Jarrett Codd, and Ronald MacCarty were indicted with multiple felonies, including money-laundering, identity theft, and criminal sale of a controlled substance to buyers in 43 states. Manhattan District Attorney Cyrus Vance said this crackdown was the largest pill seizure in New Jersey’s history. 20,000 to 620,000 alprazolam tablets. 500 glassines of fentanyl-laced heroin. Authorities said the counterfeit pills, which were stored in orange buckets, had a street value of $3 million. District Attorney Cyrus Vance warned money launderers and dark web operators that the law will hunt them down. When mailing the counterfeit drugs to purchasers, the defendants used return addresses that falsely identified the sender as a New York City business, including multiple Manhattan law firms. One of the defendants — Ronald MacCarty — operated a bitcoin machine at his sham drug shop in Asbury Park, New Jersey. The machine converted bitcoin-loaded prepaid Visa cards into dollars. Another defendant — Chester Anderson — kept a small collection of cryptocurrency books at his New Jersey home, according to investigators. The trio launched their dark web operation in 2016. Authorities began investigating them in 2017 at the behest of an anonymous tipster. It’s likely that this New Jersey bust was related to Operation Crypto Sweep, a coordinated crackdown into cryptocurrency scams launched in 2018 by U.S. and Canadian regulators. As CCN reported in May 2018, the North American Securities Administrators Association (NASAA) sent over 70 cease-and-desist letters to operators of sham crypto companies in more than 40 jurisdictions across the United States and Canada. NASAA president Joseph Borg said one of the goals of Operation Crypto Sweep is to raise public awareness of the predatory scam artists preying in the unregulated cryptocurrency market. “Crypto-criminals need to know that state and provincial securities regulators are taking swift and effective action to protect investors from their schemes and scams,” Borg said. Operation Crypto Sweep came shortly after a finding that fraud is alarmingly widespread among crypto investment promoters, according to a report by the Texas State Securities Board. Texas leads the United States in cryptocurrency crackdowns. These and other bitcoin scandals could be part of the reason why investment bank Goldman Sachs backpedaled on opening a crypto trading desk. Last week, CEO David Solomon insisted that Goldman Sachs never had any plans to launch a crypto trading desk, despite rumors to the contrary. By CCN: Binance, the world’s largest bitcoin exchange, is stepping up efforts in the crypto community to help rebuild Notre Dame Cathedral in Paris, France. The iconic 900-year-old Catholic church literally went up in flames after being destroyed by a massive fire. Authorities are still investigating the suspicious cause of the raging blaze. Binance CEO Changpeng Zhao threw down the gauntlet to the crypto industry, urging them to help restore the historic landmark and show the world that bitcoin can be a force for good. Reading the comments, please understand Charity is not exclusive, or obligatory. Feel free to choose the program you wish to donate to. If we can push crypto to the last mile of Cathedral building, it’s the ultimate #adoption. You can make contributions either by name or anonymously. As of this writing, the campaign has received 29 donations in 12 hours. Contributions top 1.47 BTC, or roughly $7,646. So far, the Binance fundraising drive is off to an encouraging start. The Binance campaign is doing considerably better than a similar donation drive that was launched on April 15 by French crypto journalist Grégory Raymond. That campaign was largely ignored by the crypto community, garnering just $1,000 in two days. However, part of the reason for the underwhelming response to the French campaign may be that massive donations from two rival French billionaires had a chilling effect on European donors. As CCN reported, François-Henri Pinault — the CEO of the holding company for Gucci and Balenciaga — is donating 100 million euros ($113 million) to restore Notre Dame. In addition, Bernard Arnault — the chairman of luxury-goods giant LVMH — is contributing 200 million euros (roughly $226 million). Across the pond in the United States, Disney is donating $5 million. Cook did not state an amount, but it will undoubtedly be in the millions. So far, the donation drive to restore Notre Dame Cathedral tops $1 billion, thanks to worldwide efforts.